My husband is Zheng Lombardi - Fiu. Sentencing: 58 years to life. I was young when we meet just finishing up middle school ready for high school. My whole life was planned out. Graduate. Work. Marriage. But before you go to think I gave that up to be with him. Know for a fact I didn&apos;t. I still graduate the third top in my class. Became the owner of a now famous restaurant Silver Cooking. I married the idiot who currently in jail. Now I&apos;m a Prison Wife. I just wanted someone to know being a Prison Wife isn&apos;t all horrible and not all of the criminals deserve being here. That&apos;s the reason I broke my husband out. However did I forget to mention I&apos;m a man. Copyright © 2015 by Misfit_Property. All rights reserved. 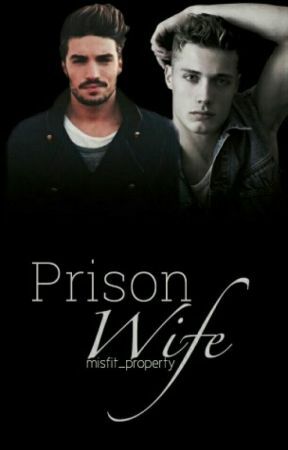 This story &apos;PRISON WIFE&apos; including all its chapter, and etc are owned fully by Deja C.
Although every precaution has been taken to verify the accuracy of the information contained herein, the author and publisher assume no responsibility for any errors or omissions. No liability is assumed for damages that may result from the use of information contained within. For permission requests, write to the publisher, addressed "Attention: Permissions Coordinator," at the address below.